On September 21, 1595, Don Juan de Oñate's petition and contract for the conquest of New Mexico was presented to Luís de Velasco, the viceroy of Nueva Vizcaya. Already a wealthy and prominent man, he sought to turn the Indians' wealth into his own and had requested the assignment after hearing rumors about golden cities in the vicinity. Oñate was granted the commission and set about recruiting men for his expedition. After many delays, Oñate finally began the expedition in 1598 with approximately 200 men, accompanied by their families and servants. 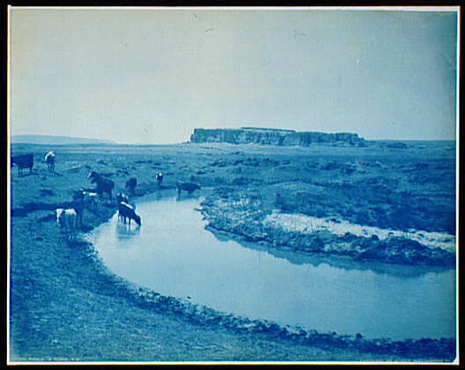 The expedition crossed the Rio Grande at El Paso and split up into smaller groups to search for treasure. Some of his men wanted to return to Spain, but Oñate squashed potential deserters by executing several who had attempted to leave. He used brutal force against the Ácoma Indians, who had rebelled and killed several of Oñate’s men. Retribution and the severity of Oñate’s actions after reconquering the pueblo terrified other pueblos and the Spanish priests complained that the Indians distrusted the Spanish—making their conversion difficult. In 1601, Oñate set out to find the legendary golden city of Quivera. After years of failure, he returned to find much of his colony deserted. Although his colonization methods were horrific, Oñate is credited with establishing a colony in New Mexico and exploring the geography of the region. In 1607, Oñate resigned as governor. He was tried and sentenced in 1614 for his cruel actions and ineptitude in ruling the colony. Oñate was fined, banished from New Mexico in perpetuity, and exiled for four years from Mexico City and its vicinity; he also lost his titles as governor and captain general of New Mexico. He appealed his convictions several times after his banishment from Mexico City had elapsed. Evidence of a pardon, likely granted between 1622 and 1624, is inconclusive. Don Juan de Oñate Salazar (1552 – 1626) was an explorer, colonial governor of the New Spain (present-day Mexico) province of New Mexico, and founder of various settlements in the present day Southwest of the United States. Oñate was born in the New Spain city of Zacatecas to Spanish-Basque colonists and silver mine owners. His father was the conquistador/silver baron Cristóbal de Oñate, and his mother Catalina de la Cadena Maluenda. His Cadena ancestor fought in the Battle of Las Navas de Tolosa, and was the first to break the line of defense (slaves) protecting Mohammad Ben Yacub. The family was granted a coat of arms, and thereafter were known as the Cadenas. (Ref. La Calle de Cadena en Mexico," pps. 1--46, Guillermo Porras Munoz). Juan de Oñate began his career as an Indian fighter in the northern frontier region of New Spain. He married Isabel de Tolosa Cortés de Moctezuma, granddaughter of Hernán Cortés, the conqueror of the Aztec Triple Alliance, and great granddaughter of the Aztec Emperor Moctezuma Xocoyotzin. In 1595 he was ordered by King Philip II to colonize the upper Rio Grande (Río Bravo del Norte) valley (explored in 1540 by Francisco Vásquez de Coronado). His stated objective was to spread Roman Catholicism and establish new missions. 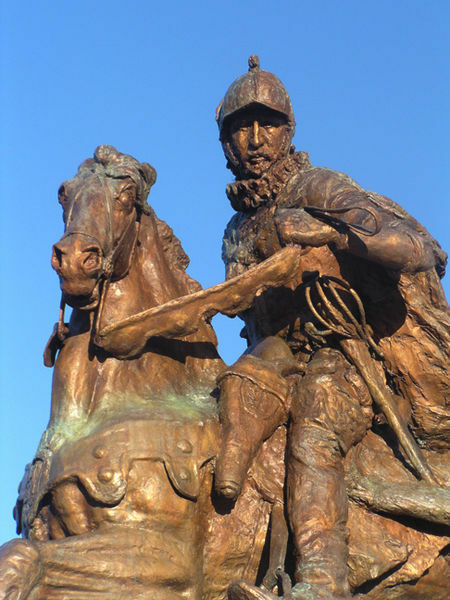 He began the expedition in 1598, fording the Rio Grande (Río del Norte) at the present-day Ciudad Juárez–El Paso crossing in late April. On April 30, 1598, he claimed all of New Mexico beyond the river for Spain.